Well, isn’t that special? To mark 180 years in business, as well as the 180th injection molding machine sold to Wirthwein, KraussMaffei (Munich) invited graffiti artist and tattooist Ralf Spitzer, aka Shamey ABC, to pimp the GX 900-4300 Blue Power machine that Wirthwein will add to its shop floor. The one-of-a-kind design features the faces of company founders Georg von Krauss and Joseph Anton von Maffei as well as Walter Wirthwein rendered on the far right. 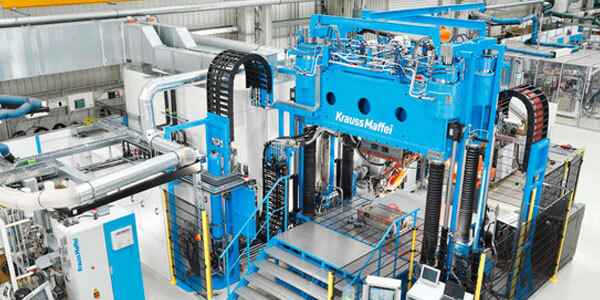 Wirthwein has been a loyal customer, buying its first KraussMaffei molding machine in 1967. The new machine will be used to mold window frame covers for car doors from a “south German automaker in the premium segment,” said the press release. Shamey ABC reportedly is a well-known street artist throughout Europe. He was inspired by this unusual canvas: “It was a ton of fun to spray-paint an entire machine with all its three-dimensional surfaces and shapes,” he said. Founded in 1949, the family-run Wirthwein offers toolmaking, injection and blow molding, and assembly services from 22 locations in Europe, Asia and North America. The customized GX 900-4300 Blue Power will be installed at its headquarters in Creglingen, Germany.